Looking for a Reliable Lawn Maintenance Company? Dual Group Company will come to your home or business and provide a broad range of local lawn maintenance services at an affordable price. Our team of mobile gardeners are fully-equipped with the latest equipment and lawn care products to deliver a professional touch that will enhance the health and curb appeal of your property. Whether your project is big or small, we guarantee a fast turnaround from quote to completion. Is your suburb not listed above? We may still be able to help. 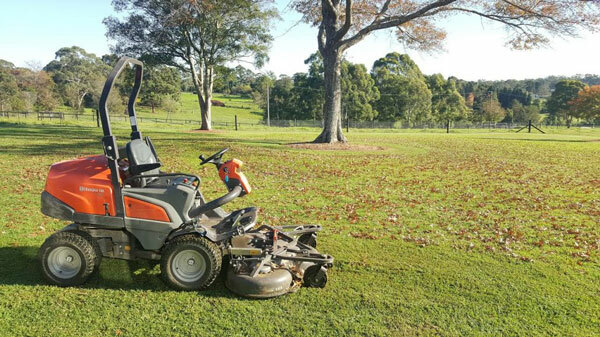 Call or enquire to find out if Dual Group can provide lawn maintenance near you. Dual Group Company has all your local lawn maintenance needs covered. Customer satisfaction is our biggest priority and we work closely with a diverse range of clients to meet the specific needs of Residential, Commercial and Strata property managers. Plus, we do not task for long-term contract agreements for our Strata and Commercial services. With a passion for the local environment, Dual Group takes an eco-friendly approach to lawn maintenance and will ensure you are proud of the final results. Dual Group is not just another ‘Mow, Blow and Go’ company. Our experienced team will address your concerns and recommend a local lawn maintenance plan tailored to your budget, lifestyle and landscaping needs. With no sales pressure, you get honest advice from gardening experts who respect your outdoor space and provide personalised service to meet your exact needs. After all, it’s your property – so you deserve to have it done your way. Don’t lose another weekend to pulling out weeds, mowing the lawn or fertilising. Our professional lawn maintenance service will save you time and hassle. So you can spend more time doing the things you love. No sweating it out in the hot sun. No backbreaking work. Simply relax and let the experts do the hard work! Dual Group can even schedule regular appointments to ensure your outdoor space looks fantastic all year long. For a fast and friendly quote, simply call 1300 303 539 or complete the online form. Find out how Dual Group can enhance the curb appeal of your property with a premium lawn maintenance service near you.